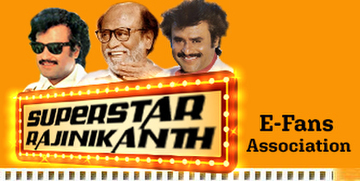 Superstar’s Endhiran has reached its 100th day today (8 Jan 2011)! The film has broken all box office records within a few weeks of its release and is still running to packed houses in several theatres. According to sources close to Sun Pictures, the movie has collected more than 400 crores, which is by any parameter a colossal sum. The movie also has the unique distinction of becoming the all time highest grossing movie of all time in india pushing Aamir Khan's 3 idiots. The pairing up of Rajinikanth and Aishwarya Rai Bachchan has created the magic and director Shankar’s penchant for grandeur is another reason for Endhiran’s success. Sun Pictures, which produced this film, also ensured that marketing played a pivotal role in accomplishing this feat. Further, the film’s Telugu and Hindi version, Robot, is also still doing well, sources say. The Rajini-mania, we must say, has just got stronger with this film. In a sweet turn of events, Endhiran’s Telugu version, Robo, will be telecast by the Sun Network on their Telugu channel Gemini TV. This satellite channel is one of the top channels in Andhra Pradesh and news about one of the most popular films being telecast within a week of it reaching its hundredth day has caused a lot of excitement among the fans. Robot, which is a dubbed version of Endhiran, is still running to packed houses in some of the theatres in Hyderabad and Tirupati and has achieved the rare distinction of garnering more profits than a direct Telugu film.